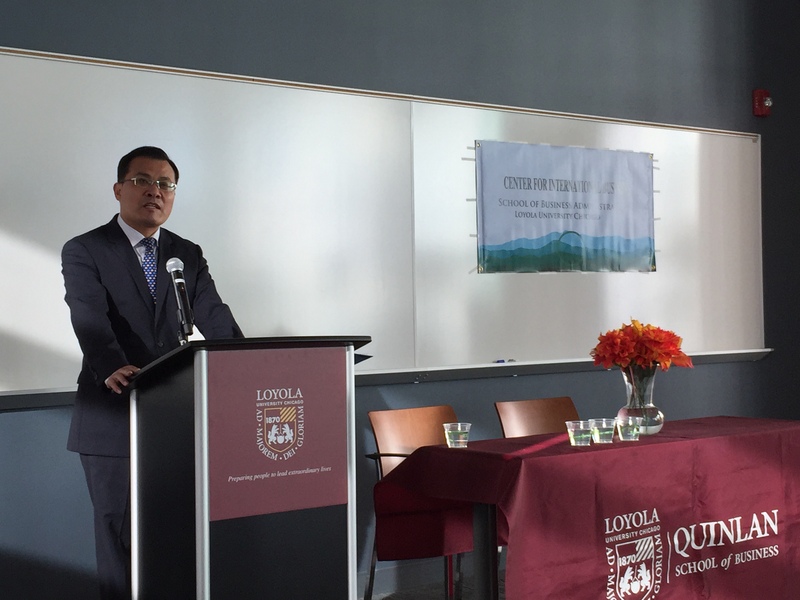 On October 13, Mr. Zhao Weiping, Chinese Consul General to Chicago, delivered a speech titled "Perspectives on Current Chinese Economy" at Quinlan School of Business of Loyola University Chicago. 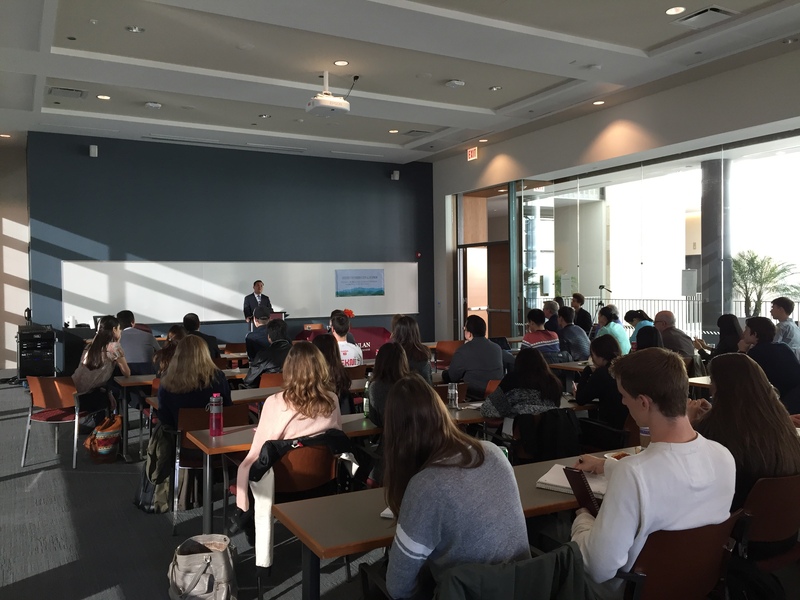 About 60 faculty members and students including Dean of Quinlan School of Business Mr. Stevens, Director of International Business Center Ms. Cinar attended the event. Consul General Zhao gave a briefing to the audience on the current status of the Chinese economy, pointed out that China’s economic growth is steady in general, many fundamental elements of the economy remain positive, and new growth points are emerging. Although the economic growth continues to decelerate and the economic weakness is seen in certain sectors, there is no possibility for the so-called “collapse, recession or stagnation”. China’s comprehensive economic performance is still the best in the world and remains as one of the major engines for global economic growth. Consul General Zhao said, over the past three decades, there have been several times when China’s economic encountered severe problems and challenges. However, the Chinese Government and people have finally overcome all those problems and challenges. The Chinese Government and people have rich experience and necessary capability in navigating the giant ship of the Chinese economy. There is no ground for anyone to be over-pessimistic. After the speech, Consul General Zhao answered questions from the audience on issues such as “the Belt and Road Initiative”, China’s perspectives on “ the Trans-Pacific Partnership”, flight of capital from emerging economies, China’s urbanization and environmental pollution.